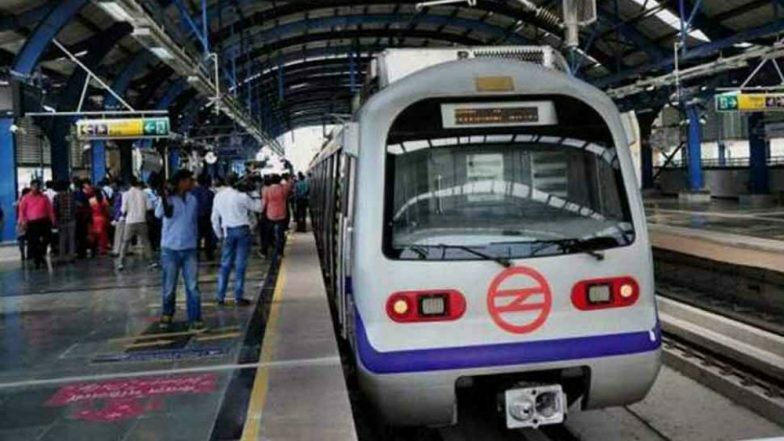 New Delhi, March 19: The Delhi Metro will not run till 2:29 pm on the day of Holi 2019 on March 21. The announcement was made in this regard by Delhi Metro Rail Corporation (DMRC) on Tuesday. "On 21st March on the festival of Holi, Metro train services will start at 2:30 PM and will continue normally thereafter," the statement by DMRC said. Holi 2019: Know the Importance of the Festival of Colours Celebrated Widely in India. Meanwhile, the Delhi Traffic Police has also made elaborate arrangements to ensure the safety and security of people during the Holi festival on March 21. The police have deployed teams with alcometers at major intersections and vulnerable points to detect and prosecute traffic violators. Motorists have been advised to obey traffic rules and not to drink and drive, observe speed limits, obey traffic signals and two-wheeler riders to wear helmets and avoid triple riding, said an official as quoted by PTI. Meanwhile, a similar instruction has been issued for Lucknow Metro, which will start running only after 2 PM on Thursday on the occasion of Holi. The Lucknow Metro authorities have also said that no colours will be inside any of the stations and those smeared in Holi colours will be fined Rs 500. Uttar Pradesh Police Beefs Up Security Ahead of Holi 2019. Holi (Dhulendi), the festival of colours, will be celebrated across India on March 21. Holika Dahan will be observed across the country on the evening of March 20.